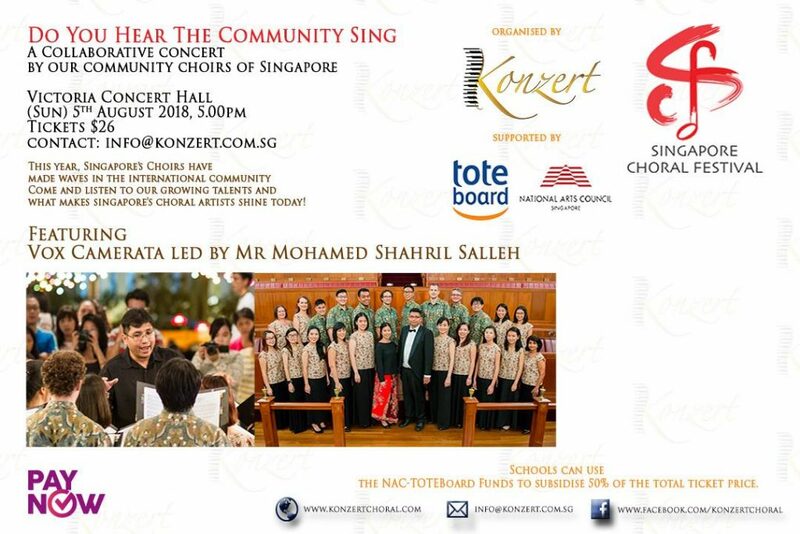 In early August, Vox Camerata had the privilege to be a part of Singapore Choral Festival’s (SCF) Do You Hear The Community Sing. Organised by Konzert, SCF is an annual platform bringing the country together in song. This year, Victoria Concert Hall was filled with a wide variety of repertoire performed by seven choirs. Alongside Vox Camerata, there were The ACJC Alumni Choir (Ms Valerie Wilson), The Graduate Singers (Mr Adyll Hardy), Schola Cantorum (Mr Albert Tay), Singapore Lyric Opera Children’s Choir (Ms Rose Loh), Victoria Chorale (Mr Nelson Kwei), and The Vocal Consort (Mr Foong Hak Luen). Listen to our performance here!